Lealholm keeper Tobi Fergus is at full stretch to deny Whitby Fishermens front man Jake Faichney in Saturdays hard-fought Junior Cup clash which the Tigers edged 3-2. Picture by Brian Murfield. 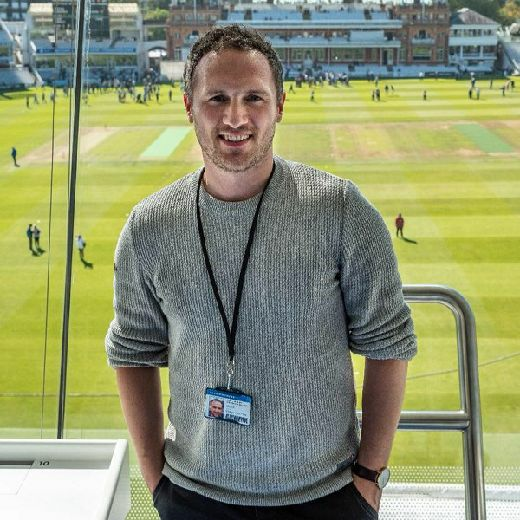 Beckett League first division leaders and last season’s runners-up Lealholm edged a derby clash against Whitby Fishermen to progress in the Junior Cup. A close game was expected and the crowd of just under 80 were lucky to see just that, a keenly-contested local derby with the Fishermen taking a two-goal lead with a goal scored in each half by Karl Storr after 25 minutes and James Armstrong after 48 minutes. Lealholm battled back strong, Will Stuart-Cross scoring after 58 minutes to make it 2-1. Mark McCarthy equalised after 72 minutes with a 22-yard unstoppable shot, it was now game on at 2-2 and play swung from end to end. The Fishermen had a great chance to win it in the last minute but smashed over the crossbar from six yards out. Deep into stoppage time Sam Russell scored Lealholm’s winning goal to put his side into the semi-finals. Man of the match for the Fishermen was striker Storr, with skipper Zac Tennant, playing at centre-back, Lealholm’s star man, while they also had Brad Lewis in impressive form in midfield. Sleights entertained second division Slingsby in an all-Beckett Football League affair in the Scarborough FA Junior Cup. The hosts won 4-2 to make it 11 wins in a row after a second cup win of the season against Slingsby. Sleights raced into a 3-0 lead as their prolific marksman Charlie Smith smashed in a brace as he kept up his remarkable scoring run. Luke Jackson then added a third goal for Sleights, but Slingsby came back with two quickfire penalties after fouls from Ben Watson and substitute Mitch Tuby to give the visitors hope at 3-2. A second Jackson goal ensured a safe passage into the semi-finals for Sleights. Man of the match for Sleights was two goal marksman Jackson. In the North Riding Football League Premier Division, bottom club BEADS lost out 4-2 at home to Staithes Athletic. Gary Sivills’ men struck through braces for Jordan Cane and Connor Hood. BEADS responded well but they couldn’t haul Athletic back and remain seven points adrift of third-bottom Kader. Staithes host New Marske this weekend. New Marske are are also struggling at the wrong end of the table and they lost out 1-0 at home to Fishburn Park. Alex McGovern was the lone goalscorer as Park returned to winning ways. Fishburn Park host Kader this weekend looking to maintain their form. 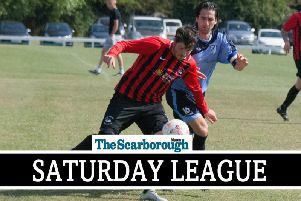 Tom Scales and Lee Cappleman scored two as Newlands Reserves beat Fishburn Park Reserves 5-1 in Division Two of the Scarborough and District Saturday League. Sam Broadbent also notched for Park, with Lee McLaughlin and Tyler Whiteman their star men. United came back into it after the break and levelled when Ben Watson’s shot was fumbled in by the Snainton gloveman. The home side had to hold on as United piled on the pressure in the final 20 minutes, the keeper making up for his earlier slip by tipping over Shane Bannister’s late header. Bannister was the star man for United.